To-date we have featured the experiences of University of Western Australia student, Christian Berger; Queensland University of Technology PhD candidate, Thomas Noble; University of Melbourne student, Kimberly Pellosis; and most recently Luisa Olmo from the University of Sydney. 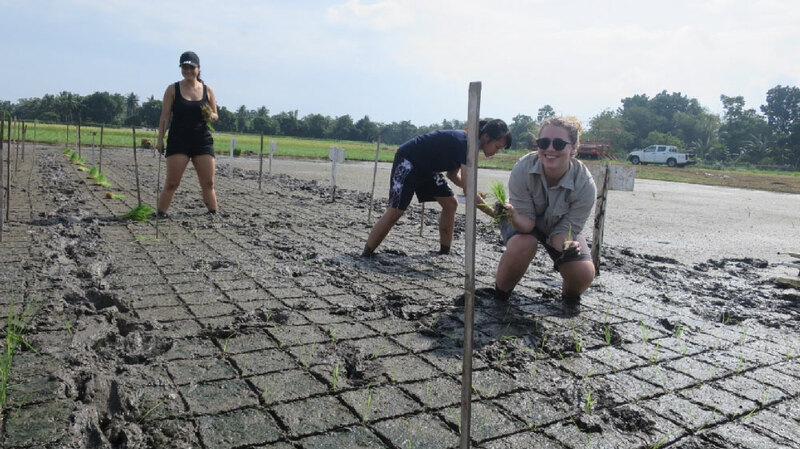 Now, thanks to The Crawford Fund NSW Committee, we deliver this summary of Charles Sturt University student, Rachael Wood’s journey to The Philippines to undertake the International Rice Research Institute’s (IRRI) Rice Research to Production course. IRRI’s Rice Research to Production course in Los Banõs, The Philippines brings together scientists with different backgrounds from around the globe. “The course was the perfect balance between classroom lectures, laboratory visits, free time and getting knee deep in mud. 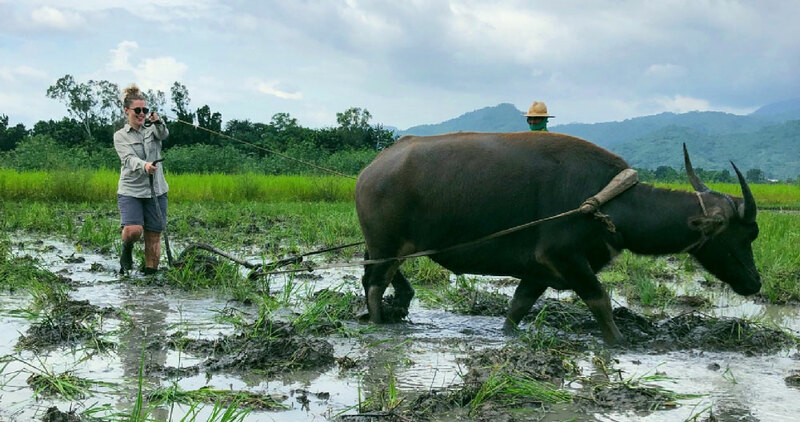 Within the second day of the course, I had the most memorable experience of learning to plough a rice field using a carabao, a domestic buffalo native to the Philippines,” said Rachael. “Other field work included hand transplanting week-old rice seedlings into thick mud. Gaining an understanding of traditional methods in rice production made me appreciate how hard-working Filipino, and other Asian rice farmers truly are,” she said. As part of the course, participants had the opportunity to visit and interview local rice farmers, where they were impressed by the commitment of farmers to use minimal inputs and stay well connected to technology and the latest research results from IRRI. “During the weekends we got to visit the beach and also the breathtaking rice terraces of Banaue. During our visit to Banaue, a few of us opted to hike among the thousand-year-old rice terraces which was an incredible experience, despite being utterly wet from head to toe,” said Rachael. “It was clear that everyone at IRRI is working towards a common goal of trying to address global food security and improving the lives of rural farmers. Taking part in their course has made me want to continue to be involved in agricultural research, particularly in an important food source such as rice. The course facilitator, Dr Joshua Cobb, was very passionate about addressing the future global food scarcity and it was hard not to walk away inspired,” she said. At the beginning of the three weeks, everyone talked about how the relationships formed would be the best part about the course. And it may sound like a cliché, but I genuinely made some lifelong friends, and I look forward to future conferences where we can reunite,” she concluded.